I have been wanting to visit restaurant Mosaic for literally years and I finally got my chance during restaurant week! The food was spectacular - tasty, filling and beautifully presented. The bread cart was a special surprise - over 9 different types of bread to choose from with 5 different butters. Each course was a delight and I will definitely be back. This restaurant is truly one of a kind. All the dishes always have a story behind it; and the taste experience is something that can't be described. There is a reason they are consistently rated as one of the best restaurants in the country. My husband surprised us with a booking at Mosaic. We were so excited and my daughter couldn’t stop smiling all the way. What an absolute wonderful experience. 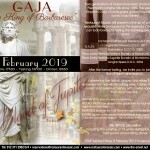 This is truly the most amazing and exciting restaurant in Gauteng, We will always go back . Step into a world of flavours and wonder when you dine at Restuarant Mosaic. No ordinary lunch, but a wonderland on every plate. Beautifully prepared and served. The last little detail on every course made this an experience I will cherish for life. Thank you Chantelle for your personal toutch on every element in your restuarant. I have been to many fine dining restaurants in the past few years, but nothing has ever compared to Restaurant Mosaic. When we arrived, I felt like I'd been transported to another country. We were greeted with a welcome drink and got to sit and relax before heading up to our table. We felt so incredibly special to have been spoiled on our anniversary (complimentary champagne and a lovely poem on the table). The food that came was absolutely delicious and one could see that an incredible amount of effort was put into making it look extremely beautiful on the plate as well. My favourite part was definitely the bread service (with 5 different butters) and actually getting to hear from the Chef about what was to come. I will go back in a heartbeat and recommend it to anyone looking for something completely different and worthwhile. What a wonderful experience! The staff from the gate to the restuarant were incredible and so friendly and accomodating. The food was devine and new tastes and textures guided us through a beautiful experience. Thank you so much!! Wonderful ambience. Made you feel like you were dining in a castle Food was absolutely delicious. Ever course left a flavour sensation of pure decadence. Staff were friendly and always smiling. Explanation of dishes were on point and concise. Everything was superb! Chef Chantel's food is truly beautiful and beyond delicious. Staff excellent, sommeliers phenomenal and ambience world class. A must. On the evening of the 22nd October 2016, my wife and I had dinner here. From the minute we arrived at the gave to the minute we left is a heavy downpour, we we treated as regal! The food was great, the service top notch. We really enjoyed the courtesy we were afforded and look forward to visiting once again! You people - just about everybody we interacted with - were so professional and left a lasting impression on the two of us, you can just keep up the good work. We also enjoyed the meal and the atmosphere, wow!! Dear Mari & Chantel The tardiness of this message of thanks is not in any way a reflection of our gratitude for the superlative meal we were privileged to indulge in, with great relish, on the day you launched your impressive Spring 10 year Celebratory menu. In keeping with the World renowned standards of Mosaic at The Orient our overall experience reached far beyond our expectations. The food was deceptively engaging on the plate, in certain instances with such aesthetic grandeur one feared breaking up the compositions. However, when the eye was satisfied and the palate beckoned then the myriad well executed taste sensations were outstanding in every respect. The portions were balanced and the sequence appropriate. 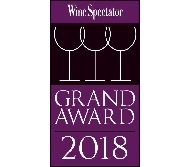 We are pleased to have also selected the recommended well-judged wine pairing. Germain , who I was delighted to touch base with again after a long interval, has a veritable ‘ playground ’ and his suggested matches – some rather unusual – were spot on. I think the collaboration between the Chef and the Sommelier is to be highly applauded. 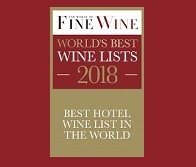 I can only say that every accolade Mosaic receives , starting from the beautiful décor, immaculate well timed service, the quiet sensitivity to any allergies and food intolerances and of course the plated gifts on our table plus liquid libation all add up to podium service worthy of medals across the board. Well done Chantel and team. I simply cannot wait to be back in the very near future. Thanking you and kind regards. Mosaic is a beautiful place and the owners have kindly shared their art, collection of furniture and architectural pieces. The place has a lovely feel, the art nouveau dining area is special and I can't think of a better place to eat food. The food, wine pairing and service is outstanding - there is an utter commitment to quality to put the very best before you. The sommelier and chef are passionate experts and it is a privilege to be served by them. The wine list and cellar - is there any other in the country that could come close to this ? Simply put this is proper, if you love art, food, wine and want to feel like a movie star for a day then go to Mosaic Thank you for creating it, to putting quality first and sharing your beautiful art - much appreciated ! Dear All at The Orient, I would just like to thank you for the gastronomic experience we had the privilege of having on Saturday night, my husband, my two daughters and myself waited in anticipation for the night to arrive and it was beyond all expectations. I felt as if I had stepped into an enchanted garden filled with mystery and magic, what an unbelievable experience! The colours, the textures, the flavours, were out of this world! Course after course was one surprise after the next, breathtakingly beautiful and our taste buds were taken to a whole new level of perfection. The warmth, love and hospitality was so evident and welcoming in your restaurant, from the minute we stepped in the door until the time our journey sadly came to an end. Have a wonderful day and may you all be blessed abundantly in all that you do. Kind Regards, Carlos, Tina, Toni & Gorgi Nobre PS: The cookie bags and treat boxes never made it to the next day ;-) Delicious!! Just absolutely exquisite. The food is out of this world. Perfection. Had the fish risotto and it was a dish I will never forget. Staff are very helpful and friendly too. Food just the best and an unbelievable wine list! Ask to visit the cellar. If you can, arrange for a sleepover. Chef Chantel Dartnall and her staff offer probably the best all round dining experience. Beautiful dishes both visually,and tasting. The wine pairings are to be recommended and the restaurant has an amazing cellar. Fabulous! Probably the best restaurant in South Africa, definitely one of the best we have been around the world. True fine dining. Enjoyed every single course, fab wine list, beautiful setting, excellent service. Probably one of THE best restaurants I have been to. From the service, the ambiance, and especially the food, and the way it is served and presented, everything was perfect. An absolute must visit, we also had a few vegetarians with us and they were well accomodated with food. The wine pairing was amazing, as was the non alcoholic pairing too. Cannot wait to go back again!!! This is a true, and extraordinary, fine dining experience. The experience begins when you enter the Orient Hotel on your way to the restaurant. The gardens, building, decor and atmosphere is Eastern - Indian, Turkish and/or Middle Eastern. The dining experience starts with the bread trolley - we were offered a number of different choices (about 10 I think) of flavoured bread and we had 4 different flavoured butters on the table. The menu was presented by the chef, Chantel Dartnall. We had the choice of 3 degustation menus (all members of the party have to choose the same one) and as a table, we selected the Discovery, a good compromise between the smaller and larger menus. Each menu has a wine pairing, which one of our party ordered and really enjoyed. The rest of us enjoyed a bottle of fine Portuguese Alantejo red that we have not seen outside Portugal. There is a non alcoholic pairing as well which is a very nice touch. Then the real adventure began. The meal was extraordinary in so many ways. Our menu consisted of 5 starters and then a choice of 3 mains and lastly a choice of 3 desserts. The presentation made each dish a work of art, so our enjoyment started before they were even tasted. Each dish combined visual appeal, subtlety, imagination and unusual flavours. It was truly fabulous. The service was impeccable, the surroundings sumptuous, the food spectacular. It is very pricey but if you have a really special occasion you will never forget the experience created for you at this truly world class restaurant. Exquisite food, lovely surroundings and great staff. Ask management for a visit to the wine cellar. It is unbelievable. We spent an extraordinary Sunday lunch at Mosaic restaurant. Rated as the number 1 restaurant in the Greater Pretoria area on Tripadvisor, we were keen to find out more :-) And what a special place it is! From the moment you arrive, you are welcomed warmly, and while sipping on a glass of Madeira, you are taken to your table. Chantel takes the time and comes to each table to explain the different menu options. The food cannot be described - no words would do justice to such extraordinary taste and creativity. Take your time and allow for 3 - 4 hours to enjoy the menu (4 to 5 courses including wine pairing should you wish). If you enjoy fine dining and have something special to celebrate - Mosaic is the place to go to. Wasting words that could never do Chantal's creating justice is not what I am going to do. All I can say is that Mosaic is an absolute must do for anyone who professes to love food. Thank you for sharing your talent with our taste buds. Wow, what a wonderful experience - again. My third trip to Mosaic did not disappoint. The food was in one word AMAZING. The sheer attention to detail, from the plate on which the food is served, up to detailed information on the actual dish and ingredients, was an experience on its own. To add to this, we stayed over at the hotel and were upgraded at no extra cost. This restaurant should most definitely be on anyone's bucket list. The food was extraordinary. The wine list is very impressive and the service was excellent. The breakfast is also a three course event, which was stunning and delicious. 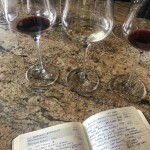 The wine knowledge is amazing and the pairing worth the extra money. I would return any day! Mosaic is an absolute gem if you can afford the prices. Yes, in terms of world prices, the cost of a meal at the Mosaic is within limits, in terms of affordability for the average South African it is totally out of bounds. We used to visit Mosaic but have decided that it is no longer an option. 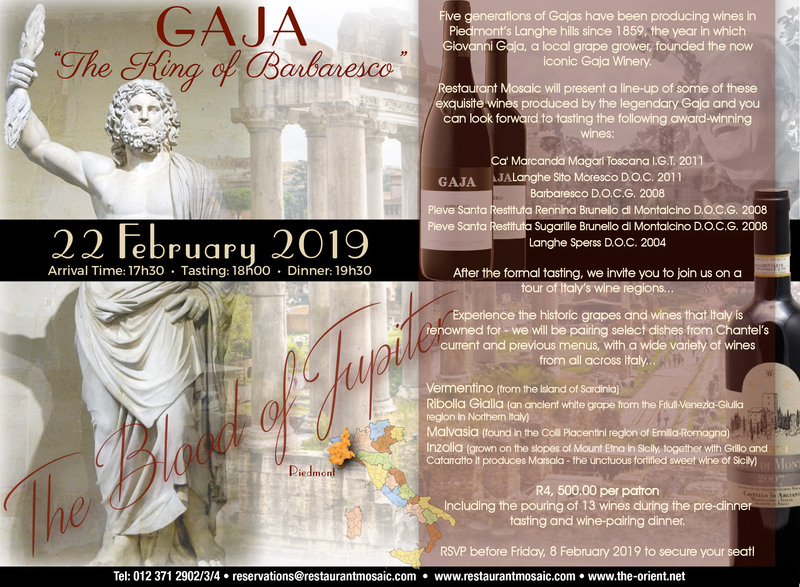 It is not simply the cost but the fact that Mosaic is a fair drive out of town which necessitates an overnight stay if one is to enjoy the full offering of the best chef in South Africa in conjunction with one of the best cellars in South Africa. Leaves the discerning diner in a total dilemma as to whether the cost is justified. When one pays almost R3000 for a meal for two and then one needs to pay R3500 for accomodation if there is no designated driver or an expensive taxi ride then one thinks twice before indulging in the best food in the country. What an outstanding restaurant. Every time you visit is an experience. The food, the wine, the ambience. Chantal has the most beautiful smile when she tells you about the food and its preparation. You can see that this absolute passion just spells success - even the staff breathe it. You have to experience it!!!!!!! This is a very special restaurant to visit and not your usual. With interior that blows your mind, a menu out of this world and a well known chef not only in South-Africa but also abroad, you can be sure that you will experience something very different and special. Each course of food is meticulously planned and prepared by this petite and pretty chef! Even the cutlery is so special, of a high standard and not your usual. Don't overlook all the art pieces and talk and ask about it. Very interesting! Make sure that somewhere, sometime, a visit here is on your bucket list! My goodness what a treat this restaurant was - I can truly say that I have never eaten such a beautifully presented and cooked meal either in South Africa or abroad! It was outstanding from the time we arrived - a bit flustered from being late as we got a tad lost! Chef Chantel came and welcomed us personally in such a calm and friendly way , the somiliere was sheer perfection and the food was sublime! The ambiance was complimented by beautiful art work and very professional waiting staff!. I can't talk highly enough about the whole experience! Wonderful food and service.Truly fine dining.There are not enough expletives for this restaurant. Personal attention from chef Chantel Dartnell.Exceptional cellar with extremely informed somellier.A must on bucket list!! We were invited by a good friend to this fine restaurant for his 50th birthday. All my expectations were exceeded in every possible way. The food was incredible. Not only was it presented exceptionally creatively but it also tasted superb! Personal attention from chef Chantel Dartnell was also a bonus as well as the fantastic wines presented by the well informed somellier. This is definitely a restaurant that should be visited sooner than later! We celebrated a friend's 50th and were treated to an incredible culinary adventure. Chef Chantel Dartnall deserves every bit of praise as well as all the accolades for the beautiful art and taste sensations that that she presents on every plate. This was our best meal ever and neither photos nor descriptions would do justice to the experience we had. The Chef here is the best chef in South Africa. She is very popular and has won some of the best awards given to Chefs. The food was the best i have ever had. And the grounds you can walk on after your meal are so so beautiful. My husband and I had the pleasure of celebrating our 3 year wedding anniversary at Restaurant Mosaic. The setting is simply beautiful - filled with many antiques and pieces of art. I chose the wine pairing with the pescatarian degustation menu whilst my husband had the petite degustation menu (as he was driving). The wine was superbly paired with each meal. The highlight for me was the langoustine risotto!...simply sensational. I liked the fact that we got a booklet which explained the chef's inspiration behind each dish and the origins of each wine presented. Service was efficient without being intrusive.We were each given a complimentary glass of bubbly on arrival to celebrate our special day. You are even given a small box of petite fours when you leave with the most amazing macarons and turkish delight. Everything is gorgeously presented... definitely a special place to spoil yourself and your significant other. You are in for a true experience when you visit Mosaic. The venue is a gem filled with antiques and all things beautiful. Chantel is not only a fabulous chef but truly delightful and passionate about her art. She takes the time to personally introduce the menu to each table and her descriptions alone are an assault on the senses. Her dishes are carefully plated and designed to stimulate every sense. We have celebrated anniversaries, birthdays and friendships at Mosaic and always look forward to the next visit. This experience is a must for every foodie's bucket list! We celebrated a special occasion - 50th birhday - at this amazing restaurant. In the professional hands of Chef Chantel we had a magnificent culinary experience - every plate a work of art. Each course was superbly prepared and complimented with excelled wines served by a well trained sommelier. The intriguing venue catches the imagination to let you fantasize about princes and princesses from days gone by. Truely a memorable experience. Our high expectations were exceeded.The food was the best we had ever experienced. Chef Chantel Dartnall is amazing and made our special occasion a memorable one. Service was great. Decor is very classy. Acclaimed head chef Chantel Dartnall honours the very essence of 'degustation' and every expectation the term might inspire. It would be shameful to describe the experience merely as one in terms of dining - on the contrary, few senses (if any) remain unaccounted for. The first appearance of whichever dish is being served promptly elevates the bar of expectation beyond the cream of fine dining. A variety of colourful, elegant yet stylishly playful melanges of fresh and prudently prepared ingredients - in some cases imitating elements of nature - taste every bit as luxurious as they appear, concluding an all-round sensory indulgence. I harbor no doubt that every course has been prepared with the greatest of skill and a generous dose of passion, since the cuisine, execution, presentation and satisfaction of consumption is of exceptional standard. Being wine enthusiasts, we opted for the local wine pairing - sensational! It is worth noting that a degustation menu comprises an array of small portions, and I would advise guests with healthy appetites to satisfy such with the Grande Degustation, however the modest (or fairer) appetite might be satiated by the Discovery Degustation. Having reserved early for a special occasion, we had the privilege of being hosted in the Tiffany Room amid plush, private surroundings. The service was of high esteem and the personnel were courteous and attentive. In fact, no single amenity has escaped the attention with which details are approached at this establishment: from the hand crafted wood finishes, Persian carpets, vintage furniture and collectors' art, every furnishing serves a specific purpose to contribute toward the lush and luxurious whole. Prospective guests of this niche establishment should be prepared for a four-figure allowance per person in benefit of Grande Degustation and wine pairing (peruse the restaurant's website for more information) but rest assured that the experience is well worth the expense! Having seen the award-winning chef Chantel Dartnall on media, it became a dream to visit her restaurant and to see what all the fuzz is about. We booked our dinner for my wife's birthday well in advance and arrived full of expectations at the Orient Hotel. What an absolute exquisite journey it was!! The restaurant is beautifully decorated and invitingly cosy. We chose the middle range summer menu with wine pairing and started an epic journey of gastronomical delights that lasted for 4 and a half hours! It was an honor to meet Chantel personally, describing her motivation behind all her creations. Beautiful work of art dishes were presented in extraordinary ways - each an artwork in its own. Minute detail in the plating was accompanied by heavenly tasting food, complemented by the best local wines! Up to the last dessert, the presentation and tastes were phenomenal - it felt like we attended an art exhibition in food titled Summer South Africa! We were thankful of having the foresight of booking a room well in advance. We could not finish the menu (coffee and petit fours were the last course) and opted for coffee in our suite. Filled with glorious tastes, smells and sights, we fell asleep and slept till ten am the next morning. What an amazing experience this was! For once, a top rated restaurant that's worthy of the accolades. Set in one of the most amazing environments in town this dining destination delights all the senses. We were a party of 8 and were seated in a private room. Service was superb and added to the excellence of the cuisine. Each course, paired with a wine from the extensive cellar collection, was an explosion of taste and coupled with ingenious plating to create gastronomic masterpieces. This was definitely our most pleasing dining experience of the year, unhurried and fully savoured, only brought to a close by the realisation of a relatively long drive home. Be warned that, due to the isolation of the location, services such as Uber will not be available. Designated driver is recommended, or even better, an overnight stay in the Orient Hotel. Every dish presented was a painting of colours and flavours tantalising our taste buds, not to mention the grand wines we enjoyed. If I was to go again, I would get there earlier. It's an amazing property and the food is equally as good. There is a collection of Rolls Royces, there are lovely gardens and a pool. There is also have an art gallery. Basically if you are taking the time to drive out here, do it properly. The food is topclass and there is a wine list with atleast 1000 wines. The service is great, the ambience is unique, it's small intimate and you get personal attention, its a real treat and very fancy. Allow about 4 hours for the experience. Some of the best food and wonderful professional service! All the food was served with the finest of detail - spectacular food! Had my first experience with frog legs and it was a pleasant surprise. The oats porridge served at breakfast the next morning was superb - never had oats as good as that. Mosaic compare anytime with the best in SA! Each dish is a masterpiece and you can see and taste the attention to detail put into each dish! You want to savour the moment and let it linger longer with each bite. Wonderful venue brings back memories of Morocco. Everything we were served was absolutely amazing, with great care taken with the presentation & also the explanation of each dish. The evening went far too quick. but luckily for us we stayed over at the Orient. Breakfast served was another amazing experience with more than 6 different elements presented - all tasty & beautifully done. You absolutely have to go there at least once! It is not cheap, but still good value for money. My only concern with this commentary is that what is the wonderfully quiet but stunning place will get onto the map. The meal with wine pairing has to rate as one of SA's best. In addition to that the little Hotel is just amazing. What makes it amazing is the uniqueness. There are many lavish and incredible places, this jumps out because its so unexpected. I really will make a concerted effort to get there again for another special occasion. Wow. There are no words that can describe the incredible meal we had at Mosaic. The evening started with a wine tasting by Anthony Hamilton Russell followed by the most fantastic meal paired with wines from Hamilton Russell. Everything was perfect - the setting, wonderfully trained staff and of course the excellent chef, Chantal who visited our table and sent a thank you e-mail the following day. We stayed over at the hotel which was just the cherry on the top. This is one place that I highly recommend. We treat ourselves with friends once a year at this amazing venue. Before dinner I can't pass the opportunity to have a walk thru Tinie Pritchards gallery of beautiful sculptures. It's a fitting start for a special evening of flavour adventures. Chantel and Mom are now part of an elite group of world class chefs. Chantel totally deserves to be part of them. We only took the regular menu, in the past we ended up with seriously extended bellies and wanted to avoid repeats. For a change we decided on champagne rather then the wine pairing. There are less known brands to choose from and well worth it. The food this time was unbelievable. The combination of flavours to discover from mouthful ( maybe tongue-full is more apt ) to mouthful was an absolute astonishing experience. Chantel you have reached the zenith. The quantum leap of presentation and tastes from last year is mind blowing. Thank you for an incredible experince. Almost a year after our first encounter of this temple of gastronomy, we revisited the Mosaic this past weekend. I now rate it even higher that the first time round. Chantel is an artist of the highest calibre and the delightfully appointed art nouveau restaurant is a fitting stage on which she plies her trade to the highest and most demanding standards. The concept of the amuse-bouche must have been developed with artists like Chantel in mind, allowing her the opportunity to display the full range of her cullinary skills. The fragrances, flavours, textures and tastes that she conjures up is breathtaking. It is very difficult to single out any dish on her summer 2015 menu but for me the presentation of the ‘Mousse de Mer’ was astounding while taste-wise it is a dead heat between the ‘Millionaire’s Nest Egg’ and the ‘Bouillabaisse’. The Millionaire’s Nest Egg is a symphony of earthy fragrances all singing in tune to deliver the most melodious song from the forest that you could imagine. 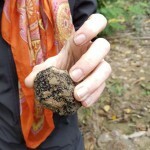 (Spoil yourself and add the black truffle on offer as it elevates the taste to another level). The Bouillabaisse is a similar composition but in a different key resulting in a beautiful ode to the sea. The crunchy savory fish skin served on top of the fish is not only magnificent, it punctuates the taste of the entire dish. Germain’s excellent wine pairings serve to embellish the fountain of fragrances and tastes from the dishes. The overall effect is like hearing and watching a perfectly synchronised sensual tango. As a side note, I want to venture that few chefs in the world could be as good as Chantel in blending the exquisite fragrance of saffron into so many different nuances. The restaurant staff are very well trained and seem more confident than a year ago with Mari’s presence keeping all the players in the orchestra in tune and on beat. Above all, the consistency that we experienced compared to a year ago is remarkable. Without any doubt Mosaic can compete against the best on the global stage. Chantel makes us proud to have such mastery and skill here on our doorstep. My husband and I escaped the city late Friday afternoon to this wonderful location. We were to spend the night at the Orient Mosaic hotel and sample Chef Chantal's famous cuisine. The surroundings are simply beautiful - indigenous bush, the air smells warm and clean and spring water cool and delicious. This is the family farm belonging to Chef Chantal's family and she is a graduate of the same cooking school as I am and she was Chef of the year 2014 San Pellegrino. Chef Chantal came and met with us personally at the pool to discuss our choices from the evenings menu's. We ummed and aahhed for sometime; changed our choices repeatedly, swopped dishes from one menu to the other and this was all met with equanimity and tranquil charm. I am not sure how she remembered our order as I was completely befuddled - but she did. The dining room is lovely, classic French bistro with a slight Nouveau feel. The service was attentive and the courses flowed at the right speed. The food went from one delight to the next, the truffled quail eggs, bouillabaise and other exquisitely plated dishes each with a host of complementary elements were a treat for the palate. think lemon verbena ice cream. We chose the international wines to pair with our food and this was the only negative. The trainee sommelier was not well informed and the head sommelier was perfunctory to the extreme (borderline rude); he plonked our wines down with just sufficient time to bark out the name of the wine, give us a fleeting 2 second look at the bottle/label and was gone. Clearly he was far too busy serving the Hamilton Russel table. This was a disappointment especially as we had recently visited 500 at The Saxon where the Sommelier there is outstanding, informative with a wealth of knowledge and interesting anecdotes. The field wine we had with one of our plates was caramelised but the trainee sommelier changed it without a fuss. We had a wonderful evening and were extremely pleased to just wander upstairs to bed with just enough space to eat the chocolates on the bedside table before lapsing into a dreamless slumber. I must add that the breakfast the next morning was absolutely wonderful and comparable to the previous nights dinner. Fresh pastries, little tastes of panna cotta, creamy oats, a sliver of smoked salmon, eggs Benedict and so on. All served by the pool in the early morning sunlight. Staying at "The Orient Private Hotel" we chose to also dine at the in-house restaurant. Knowing Chef Chantel Dartnall was recently awarded 2014 San Pellegrino Chef of the Year we were very excited to add this to our Bucket list. Our high expectations were met 100% and more, with the experience being one of the greatest. The restaurant is a A Belle Epoque / Art Nouveau style treasure. One surely has just stepped back in time somewhere in the middle of beautiful romantic Paris. Radiating warmth and Intimacy with a couple of separate areas allowing personal space & comfort, without losing the energy flowing within. Two private dining rooms also on offer are truly magnificent. A very special touch was the Chef, Chantel introducing herself and describing the culinary journey we were about to embark on. 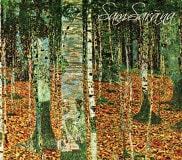 The food / menu changes with the seasons and is inspired by nature with a contemporary classical french influence. Degustation style we chose the "Discovery" Option, with a Petite, Grande and Vegetarian also on offer. The Amuse bouche was testament to what was to follow. An exquisite and very colourful step through the garden/nature indulging the senses. Vibrant, imaginative, flavourful. We chose wine paring - great choice. Sommelier Germain definitely knows his wines. And with >35,000 in the cellar it was too much for us to decide! Everything from bread trolley , choice of cutlery, dinner ware, glasses, mini copper pots was a pure delight. Service faultless! Good friends of ours are regulars at Mosaic and I have had the privilege of eating there with them twice last year (2014). This is not just a meal out but an experience. Every mouthful is an adventure and every plate an artful expression of Chantal's beautiful mind and soul. Save up if you have to but add this to your bucket list - and then add it again and again. We visited Mosaic on Sunday and what an amazing experience. The service was excellent, the food was out of this world. The best we ever had. The food is works of art and packed full of intense flavors. The head chef herself, Chantel Dartnall, came to tell us about the menu. The whole experience was just incredible for us. It is such a stunning venue with such amazing art, furniture and sculptures. I now understand why Mosaic is the number one restaurant in Gauteng. Thank you for this amazing experience. The food looked like artworks and tasted marvelous. It was extremely well presented. Each bite was perfect. The ambience was out of this world. It was calm and enhanced the experience. The service was superb. Everyone there was extremely friendly and professional. We felt very welcome. We can recommend this restaurant without any doubt. 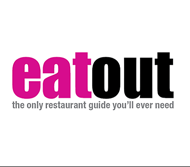 We have been to a few of the EatOut top 10 restaurants over the past 5 years. This was definitely the best experience so far. It was worth every cent. Restaurant Mosaic surpassed all our expectations. A fantastic evening of wining and dining. Every plate of food was a work of art- too beautiful to eat! Chantal is an absolute world class chef - we will never forget this experience! When staying over in the Orient Hotel and experiencing a wonderful dinner at Restaurant Mosaic, you might feel tempted the next morning to skip breakfast and opt for a late check-out without breakfast. Do not consider this - you will be missing out on one of the most fabulous meals served at the restaurant! Rave reviews have appeared from countless diners visiting Restaurant Mosaic and reflecting on the culinary skills of chef Chantel Dartnall and her wonderful team. Most of these reviews have appeared after a luscious lunch or divine dinner, but few reflect on the Best Breakfast in SA. Chef Chantel brings the same culinary skills she displays during lunch and dinner to the most important meal of the day, breakfast. But, of course, with several magical twists. Expect the unexpected, starting with several small plates representing new takes on some traditional items. Thank you to a wonderful supportive team led by Marí for redefining the concept "dinner bed and breakfast"! On 13 September 2014, my boyfriend surprised me with a night out. I had no idea where we were going, but when we arrived, I couldn't believe it - I had been swooning over Mosaic's menus (available online) since we moved to Pretoria two years ago. And here we were, I was so excited. Dining out as vegetarians in South Africa is often difficult, especially at fine restaurants. I've been to many an esteemed establishment only to be gravely disappointed by yet another 'vegetable platter' or 'vegetable lasagne'. While lasagne can be delicious, I had been yearning to try something more experimental. Mosaic exceeded even my wildest expectations. The restaurant itself is gorgeous, and the staff and chef Chantel very informative and friendly. We enjoyed a beautiful and overwhelmingly delicious seven-course vegetarian meal - no platters in sight! And to top it off, the night ended with a surprise engagement, something my boyfriend had arranged with the staff, who cheered us with a lovely champagne and warm smiles. All in all, a night to remember. Thanks again to Mosaic for making our engagement so special, and for the absolutely wonderful food. A haven between JHB and Pretoria awaits. Dinner here is a journey, a gallery of colour, tastes and textures. Chantal is one of very few culinary artists that I have come across. Her passion, dedication and talent shines through. To compliment your meal with their wine pairing is also a great idea. I recommend sleeping over at Orient afterwards- you will not feel like leaving early! We went to Mosaic for dinner with some friends. What a marvellous service. All our meals were done to perfection. We left very happy and we look forward to our next visit. We settled in for lunch on Saturday, 6th of September. We had lunch at Mosaic before and knew we were in for a treat. We were not disappointed - the courses arrived, perfectly timed and beautifully executed. Each plate is a masterpiece; almost impossible to think that it is food which has been elevated to art on a plate. And not just any food - flavours are carefully chosen and balanced for just the right taste, feel and texture. Mushroom soup is not mushroom soup; it is an explosion of flavour in the form of a clear consomme, flanked by a variety of almost unbelievably tender mushrooms. On the same plate was a arrangement of condiments of subtle flavours one could either use to cleanse the palate or enhance each mouthful. It is impossible to describe Chantelle's entire menu as it was complex and extensive. One thing must be clearly understood; if you are the T-bone and baked potato or sticky ribs and chips fan, this might not be to your taste, nor might your hunger be completely satisfied afterwards. That it is an extraordinary experience to be savoured at leisure goes without saying - when someone puts so much effort and thought into what it is she does, the result can only be superb and that is also my rating for this unusual restaurant. I had read a number of reviews about this restaurant, none of them can really do justice to this amazing restaurant. After two dinners, two breakfasts and a light lunch my wife and I agree that this is one of the very best restaurants in South Africa. The wine lists are the best I have ever seen. Two volumes, one South African and one International. More importantly very well priced given the selection, quality and vintages of the wines. Our first night we had the Grand Degustation Menu. A memorable procession of amazing dishes, each one a work of art and intriguing tastes and aromas. From the sunflower, to the Birds of a Feather and the Pork, the cheese and chocolate heaven. The homemade breads were equally intriguing and the Anchovy butter addictive. Although we had some excellent wine with the meal, we should have had the wine paring. The next morning we had fantastic leisurely breakfast of the same standard. I had the best Eggs Benedict that I have ever had. Chantal the owner and truly Master Chef then put us at ease and told us she would design our own menu for that evening. More later. For lunch we a had a simple and very tasty Smoked Salmon salad. Again mastery of taste combinations, by far and away the best we ever had. 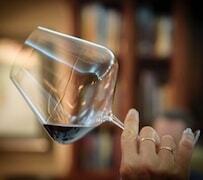 That evening we had "our" degustation menu, and this time we did the International wine paring. Wines from France, Hungary and Spain accompanied the meal. Expertly chosen by the Sommelier. The Snail Trail, unique and beautiful to look at and eat. We were privileged to preview the new desert a "Broken Yogurt". Get there soon to try this. Thank you to Chantal and her team. The best in SA and truly world class. To start... WOW, what an experience! We were impressed before we were even shown to our private 8 seater dining room. As an anniversary celebration it was a perfect location. You get a feeling when you walk through the impressive wooden entrance doors that you are going to be in for a treat. And we were not disappointed. Our party decided to go for the 'Spring 2014, Discovery' selection, with wine paring. Each course was a taste explosion. The flavor combinations were absolutely amazing. Who would have thought Rainbow Trout and Vanilla would be a likely combination... Chantel did and she did it perfectly! I can see why this is the number 1 restaurant in Pretoria. The Sommelier was also fantastic. He explained each wine beautifully. Such an interesting man. A true master of his trade. Viva Chantel, Viva. And thank you Mari, you were the perfect host. The title says it all. We just cannot fault this amazing restaurant and boutique hotel. We arrived for a light lunch, followed by a long walk through the bush. Saw many, many animals at close quarters. Returned for a drink by the pool, followed by a short siesta before indulging in approximately 12 incredible courses paired with some lovely local wine. Next morning we were greeted with a 5 star breakfast before returning home, relaxed and rejuvenated. Beautiful premises, lovely staff and the most amazing meals and wine I've ever had. I want to live there! Will definitely go back. What an experience! From the booking of our table to the end of the evening, everything was in a different class. The professionalism of the staff is special. The sommelier has so much wine knowledge that goes from knowing which vintages are the best to personal knowledge of the wine makers. His knowledge of the wine together with the chefs class to pair the wines with the food is amazing. Both the South African wines as well as the international wine pairing with the food was absolutely perfect. One other VERY special aspect was that Chantal asked about individual preferences, allergies and dislikes and when we arrived, she knew exactly what these were and the food was already planned to accommodate these. The chef, Chantal is in a different class! She is a true artist and her love for what she does is clearly visible in the food. This must be one of the best restaurants in South Africa if not the best. The food is presented in a way that you think you are eating an art piece. The textures and taste was fantastic. If we had Michelin stars in South Africa, she would definitely have more that one star! We will definitely be back to experience this again. I took my dad to Mosaic for fathers day and we had the most incredible meal. Service was exemplary and for a Sunday lunch it's a delight of a place as you get to see the craziness that is The Orient. We had the set menu and it was a beautiful balance of food that satisfied without overfilling you. The attention to detail and care from the chef and her team was splendid. My only comment would be some of the elements on the dishes were cold which may be a timing issue in the kitchen. Not a huge thing but does sometimes affect the flavour of the dish. I will definitely return again - an absolute delight! Restaurant Mosaic is situated on the premises of the Orient Hotel, a truly luxurious Middle Eastern gem situated in the bushveld at the base of the Magaliesberg Mountains. Just entering the grounds of the hotel was an experience all of its own which heightened our excitement for the meal to follow. We were greeted by our wait staff and shown straight to our table, a delightful little booth in an interestingly eclectic intimate restaurant, and offered some water. Award winning chef, Chantel Dartnall, came to our table and ran through the menu with us, explaining each course. Her enthusiasm for seasonal ingredients and her passion for food were tangible. A bread cart was brought to the tableside and we could select of the variety of fresh baked breads on offer. We tried some sourdough bread, basil bun and fruit loaf. All of which were delicious but the fruit loaf was phenomenal and we could happily have snacked on that for the afternoon. The meal that followed was an unbelievable, once in a lifetime experience. I unfortunately am not sure that my food expertise did the dishes justice; my enjoyment of them however could not have been any greater. We decided on the wine pairing option and elected to try local wines rather than international, we are proudly South African, after all. The Sommelier, Germain Lehodey, served us a delicious sparkling wine to enhance the flavours of our bread. We started with a tiny slice of Brioche served with Rosemary and Lavender Butter. The brioche was silky soft with a crunchy little crust and the herbed butter complemented the sweetness perfectly. Amuse Bouche 1: Radish ribbon with salmon roe and grape pearls, and goat’s cheese ball rolled in dill. The tart crispiness of the radish contrasted deliciously with saltiness of the salmon roe as they burst in my mouth and the goat’s cheese brought a wonderful creamy texture to balance the dish. Amuse Bouche 2: Avocado roulade filled with cream cheese and shitake mushroom. There was a delicious balance of creaminess from the avocado and cream cheese which was tempered with the dried shitake mushroom. Amuse Bouche 3: Beetroot terrine, gel, jelly and pannacotta with horseradish sorbet and cream. This was a little bit of heaven on a plate for me. I adore beetroot and was thrilled to experience all the different textures of this vegetable. The horseradish perfectly accompanied the earthiness of the beetroot. The interesting serving plate could even be utilized as a Zen garden, as the glass plate lifted off the sand filled wooden base. Needing to take a little break from all the deliciousness we took a breather out in the plant filled courtyard where the fishpond provided soothing burbling water in the background creating a wonderfully tranquil setting. Amuse Bouche 4: Snail Trail - ‘L’Escargot Bourgogne, filled with Mushroom Duxelles and Cauliflower Cappuccino. (Snails in butter, filled with Shitake mushrooms; Shimashi mushroom, radish, fresh asparagus, dried asparagus, fresh cauliflower, dried cauliflower). Not being a snail eater, I tasted this dish with trepidation. Wow, the snails were delicious and just melted in my mouth, while the mushrooms added just the right amount of flavour without overwhelming them. The cauliflower cappuccino was creamy, flavourful and a divine little mouthful. Hors-d’oeuvre: Frog in a pond - Tempura of frogs legs with a fragrant Morel Mushroom Jelly and Consommé. A first for me, never having had frog’s legs before, I was curious about this course. They were wonderful! The mushroom jelly and consommé however did not appeal to me and I did not enjoy the taste or texture of this accompanying dish. Le Entrée: Land and Sea - Pan Seared Scallop and Baby Langoustine Tail with Garden Pea Ragout. What a tasty combination this dish was. The scallop was seared to perfection and the langoustine was pure magic. The pairing of the seafood with peas was genius. We were served a palate cleanser of Lemon & Bergamot Sorbet. Unfortunately we did not enjoy the flavour of this at all, thinking it tasted like a hand sanitizer. Luckily we were served our main course and needless to say with our palates cleansed we were able to taste each component perfectly. Les Plats Principaux: Prints in the Paddock - Veal, sweet meats, beef cheeks in gravy and seasonal vegetables. The playfulness the plating added to the charm of this dish. The veal was tender and the beef cheeks a taste to remember, truly divine. Les Plats Principaux: Pebbles on the Beach - Kabeljou with a Clam Velouté. The kabeljou was firm and moist but the clam velouté was insipid and did not add anything to the dish. The accompanying vegetables were bland. The kabeljou was definitely the star of this course. Le Fromage – The Cheese Platter. As with every course, the waiter explained everything on the plate, however, by this time I was in sensory overload and was so totally overwhelmed by all the new tastes that I did not record what each cheese we were served was. Even so I was able to enjoy every bite, with each component adding to the next. I do remember that there was fruit bread, walnut, sunflower seeds, quince jelly, apple sauce and apple slices served with the variety of cheeses. The Fruit Platter which followed comprised of apricot, strawberry, grape, blue berries and a cream cheese mousse; once again pure perfection in every bite. Desserts were served: Pollination - Homemade Honeycomb Ice Cream and Orange Blossom scented Sponge Cake with fresh Bee Pollen. This was as decadent as it sounds. The sponge was moist, the ice cream creamy and the orange blossom sweet and tangy. A Walk Through our Sweet Garden - Textures and tastes of Violets and Spice. This little dessert of chocolate tart, violet ice cream, chocolate twirl, mascarpone pannacotta and crumble was a taste sensation. I relished every little bite. A Scent of Jasmine was served in a little shot glass and then our meal was rounded off with Coffee and Petit Fours, which turned out to be banana suckers, truffles, pear & green tea jelly and milk tartlets. The plating throughout was spectacular and added to the enjoyment of the meal. It was like receiving a beautiful painting to feast the eyes before feeding the mouth. The serving staff was beyond attentive without being intrusive making us feel special and well taken care off. The cost of this expedition will undoubtedly place it well out of the average diner’s budget, however, if you enjoy food and want to have a once in a life time experience, Restaurant Mosaic is the place to go. The entire meal was a genuinely delightful sensory explosion and one which I will always remember. Hosted a dinner for 20 guests at this exclusive restaurant and was blown away. The whole experience was world class. It started from the moment one arrived. Being early I spent time in the Tienie Pritchard Museum which showcases his extensive work. A hidden gem, tastefully done and very informative. Germain the sommelier gave us a tour of the extensive cellar, I dare anyone not to find a wine or champagne to their liking. His knowledge and passion is infectious. There are not enough superlatives to describe the food prepared by Chantel. Everybody was raving about the entire multi-course meal. I had a gastronomic experience compatible to anything I have tasted anywhere in the world. The meal was accompanied by wines especially selected for the occasion by winemaker of the year winner Christiaan Groenewald from Arenskloof. This marriage of food and wine was the cherry on the top and we were able to marvel at how Christiaan produces such a wide variety of wines on the same farm. Although outside the city limits of Pretoria, the drive is not bad, I stuck to the highways and toll roads. In hindsight I should have booked to stay overnight to round off a wonderful experience. This is a venue for a special occasion where the enjoyment will linger for a long time. One can write pages singing the virtue of this establishment. But nothing will prepare you for what you about experience. 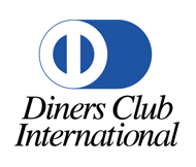 As an experience frequenter of the finest dining establishments in Europe. This is the restaurant that blew me away. A definite 2 Michelin star contender and nor far away from that prestigious 3rd star. Stop pining. Just go there and see for yourself. Great news fans! We are a 2014 TripAdvisor Certificate of Excellence Winner! 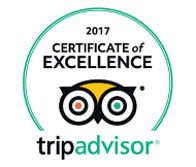 This prestigious award recognises businesses that consistently earn top ratings from TripAdvisor travellers and we are one of them. Thank you to my kitchen team, staff of Restaurant Mosaic and most of all to our guests for your wonderful reviews! We hope you will drop by soon for our Autumn "Secret Scents" menu! The dégustation menu proposed is a very nice journey into tasteful delicacies, with a lot of gastronomic fantasy. We took the SA selection of wines, very good. It would be interesting to alternate european and SA wines in a menu, just a guess. But it is not all about food. My wife and I were impressed by courtesy and professionalism of the service. The ambiance is really great, will certainly come back for the new seasonal menu. We went to Restaurant Mosaic in December for our anniversary. What an extraordinary experience! Superb food, superb service, excellent wines. I especially loved the fact that the chef came to each table to explain the menu - which consisted of many intricate and unusual dishes. I can HIGHLY recommend this restaurant for a special occasion, it truly was one of my best dining experiences ever! One of the best food experiences. The Chef is the best and Ambience 100%. Well deserved visit. Will definately revisit and like so stay in the Orient. Hi Chantel Wat n belewenis gister!! Wow My beste total eet-ondervinding ooit. The food was out of this world. Dear Chantall. My husband and I had a fabulous Sunday lunch several weeks ago. Your attention to detail is impeccable. What amazing plating & incredible flavours. The location is gorgeous, with a museum filled with stunning bronze works of art, simply to die for. Will we be back. I have no doubt we will. Thanks to you all for making our experience one to remember. Best Regards & hope your travels to France were safe and the best ever. Even when you go ahead and type the name Restaurant Mosaic at the Orient in your search engine...you already know...this is top class. deciding to visit this restaurant, will be your best decision you've ever made regarding fine dining and top class experience at a restaurant. when you arrive at this stunning and most astonishing place you can ever dream of...you are even more overwhelmed by the friendly people and hospitality of the host, Mari Dartnall, who is also the owner of the orient hotel. when you sit down at the table...you are sitting down as not just guests, but as kings or queen. honestly...you will feel that way. you are served with great professionalism from the start.then the chef, Chantel Dartnall, comes to your table. you are first blown away with the presence of this beautiful and well presented person. it feels like you are looking and listening to an angel. she explains everything that she will be preparing and giving you the choice if you want something different or in a way more suitable for you...which, i can assure you, will never be necessary! you will enjoy every single moment and every single bite of food, which you will know, has been prepared with the utmost class and pride and love for food, by this amazing chef....wait! !...let the review rather pause here...i would recommend you go there as soon as you can and you will just realise that you will actually continue this review yourself! go for it...this is a 'heavenly' experience!!! Dear Chantall and Mosaic team Thank you for a wonderful evening! We dined at The Mosaic for the first time yesterday, and enjoyed an exceptional meal! One can taste the love, passion, and art that goes into every dish. As with Hanri, I extend my compliments to the chef in this feedback. We look forward to the next time! My first time at the Mosaic and we had such a wonderful and exceptional time that i completely forgot to extend my compliments to the chef! It was truly an amazing culinary experience.I love Chantal's vision of simplicity and giving emphasis to the essence of the ingredients of each dish with meticilous attention to detail and tangible passion. The braised fennel with goat cheese risotto was outstanding as well as the dark chocalate and pear forte, and although i am a bit avo biased i just have to mention that the avocodao mouse was mouthwatering. It was both humbling and heartskipping to dine in such a beautiful space and i would like to extend my sincere and heartfelt gratitude to the whole team at the Mosaic for what was a truly memorable and very special evening. The Orient is a place of tremendous beauty and harmony. Thank you for a wonderful evening on Wednesday September 19. We have fallen in love with Mosaic and will be back. The food was wonderful. We were at Mosaic for the 2nd time on Saturday, and without a doubt the best meal I have ever eaten (except of course for the first time we ate there)! I am consistently blown away by the flavour, attention to detail, service and class of your restaurant, and tell everyone I meet about it and you. Can't wait to come again. What a superb experience! My Sunday was transformed into a culinary masterpiece. Thank you for a wonderful birthday experience! We had a fantastic evening! thank you to the Mosaic team for making our evening so special.